At the work, nodding doesn’t mean agreeing, that simply is: “I’m listening”. 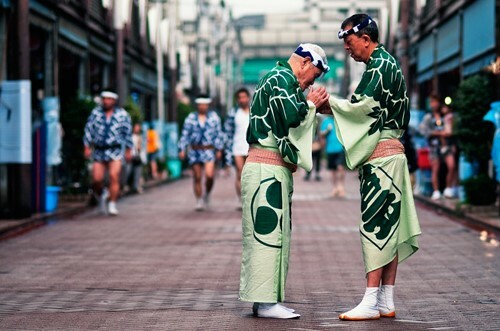 Japanese culture has always been a mystery to many tourists. Photo: Mata. Tokyo has many interesting things such as the skyscrapers, the people are crowded like ants, the shiny neon lights, the shops, the casinos,… these things has quickly become a symbol of a modern Japan. However, tourists still can enjoy the relaxing and quietness in the garden of the Royal Palace and the luxuriant vegetation on the walkway of Meiji Shrine. Lying between the quietness and the noise of a modern city is the scene of trains that run along the narrow streets, where having many small shops and private houses. Many tourists feel excited and amazed at the expensive life, yet orderliness here. GDP of Toky is as big as the GDP combination of Korea and Mexico, according to Government of Japan. Photo: Mata. Many people believe that how quickly this city has developed, the past is still growing in paralel, because the culture has deeply entrenched in the minds of people here for a long time. The Japanese culture in general and the Tokyo people in particular make foreigners feel confused. “They nod doesn’t mean they agree, simply is “I’m listening”. Even when you receive a compliment, it is only a social comment,” Katsuji Tochino, representative of a travel company said. 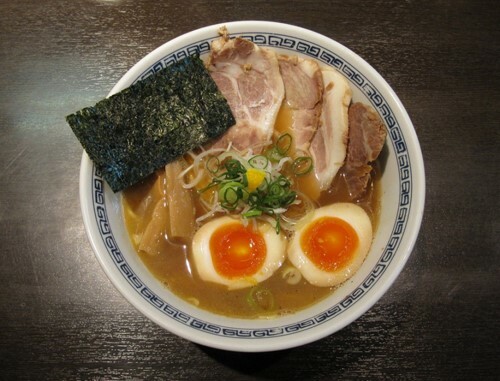 Ramen is considered as one of the “divine” dishes of Japan. Photo: Mata. 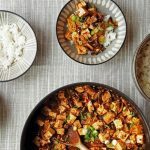 Tokyo has more Michelin-star restaurants than anywhere else in the world, but even the most casual restaurants also have the high-quality foods. This is one of the plus points for the capital of the cherry blossoms that impressed the tourists. Tokyo Disneyland was the first Disney Park to be built abroad. It has provided jobs for more than 20,000 people in Japan. Tokyo Tower was inspired by the Eiffel Tower, France. This tower is repainted every 5 years; each time takes 12 months to finish. Royal palace is not open to the public, except for the Japanese Emperor’s birthday and the New Year time. According to the Guinness World Records, Shinjuku station is the busiest railway station in the world, with an average of 3.64 million daily users. Capsule is a new kind of hotel in Japan. Usually, the guests renting this type of hotel are man. Every room is fully equipped with TV, wifi. About 2-3 thousand tons of seafood are traded at Tsukiji fish market every day, corresponding to the amount of approximately 28 million $. Only about 1/3 time of the year, people will able to see Fuji Mountain because it is usually covered by clouds and the concentration of dust and gas in Tokyo. Many Tokyo people believe in legend “the Curse of Roppongi Hills Building” after many unfortunate events happened here, including at least one death and many executive directors worked in this building were prosecuted. Narita Airport is the main international gateway of Tokyo, far from the center of the city about 70 km to the east. Haneda Airport is located in the south of the city, is the 2nd airport of Tokyo. After every half hour, there will be a JR Narita Airport Express train, it will take 53 minutes to Tokyo station. You can choose the JR Airport Liner Express train or the Keisei Skyliner Airport Express train to save money. If you do not like to take the train so you can choose the Airport Limousine buses which go directly to the major hotels in the city. The ride takes more than an hour. The stroll around the city is quite easy for the tourists. Signboards are displayed in both English and Japanese. The instruction diagrams are quite simple, easy to understand. You should note that have enough coins to buy tickets at the automatic machines or buy a prepaid Suica card. 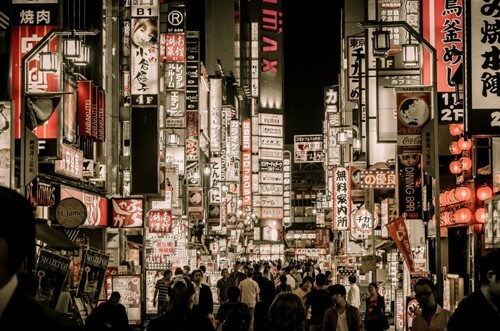 Tokyo has more than 3,600 hotels, ranging from the world-renowned hotel chains to the affordable hotels.